Poverty finance is its own realm. The usual personal finance advice, like IRAs and 401ks, doesn't apply if you are insecure about your next meal. If you're reading this right now, you already have a head start on pulling yourself out of poverty - one of the hardest things a person can do. Why? Because you found this site by researching ways to dig yourself out, which means you know how to empower yourself with information. It also means you have access to the internet, either on your own or through a library. This is a big benefit. Being poor doesn't make you a lesser person, and many people are living in poverty through no fault of their own. However, this isn't a website about public policy. There is plenty of discussion about what governments should do to fix poverty. Rather, this is a collection of practical resources to help the US-based Poor Person survive, and start to dig out. Please note that I am still working on this page, so I will update the links as I go. 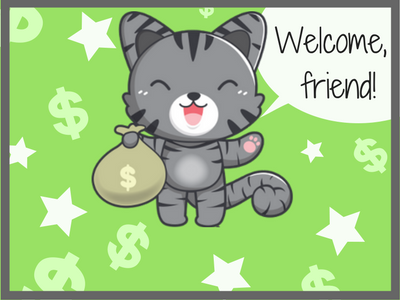 Please send suggestions for articles to info@moneywithmeow.com, or, if you have lived in poverty and have tips to make it more bearable, send 'em on over! Thanks!